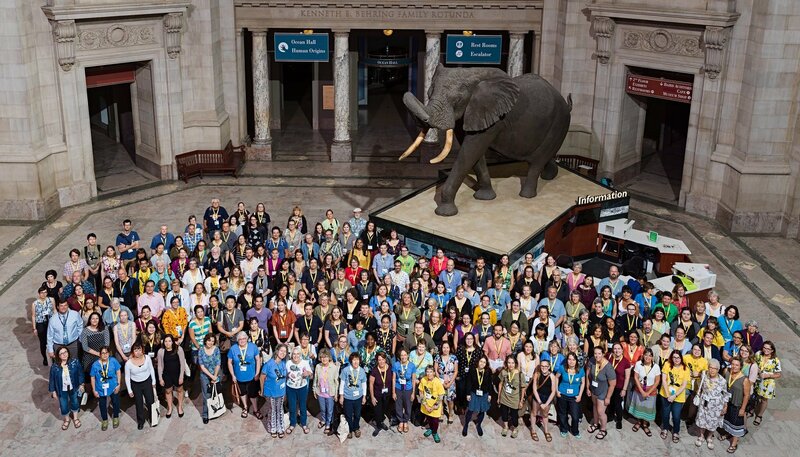 Each summer, the GNSI hosts a dedicated week for artists, scientists, and educators from across the nation. The GNSI Annual Conference offers endless opportunities for brainstorming future projects, learning new techniques, and forging lasting connections with a supportive community of like-minded professionals. The conference opens on Sunday evening with portfolio sharing and a meet-and-greet reception, followed by core programs from Monday to Wednesday and workshops/fieldtrips from Thursday to Saturday. Banquet – celebrate members’ achievements through awards and acknowledgments. Field trips – visit natural attractions with ample chances to sketch. Each conference happens, traditionally, in a different U.S. location, alternating between East and West Coast and mid-country, but international destinations have been selected as well. University accommodations offer a relaxed environment with top-line facilities, including affordable dorm-style lodging and plenty of time to discuss your favorite topics over meals in the cafeteria. Some GNSI members have attended conferences for over 20 years, enjoying the ability to catch up with friends and colleagues, find new inspiration, and grow their knowledge of the science illustration field. New members and budding professionals also appreciate the conference’s welcoming atmosphere and rewarding career insights. Each conference features the Annual Juried Members’ Exhibition, which allows GNSI members to showcase their expertise and appreciate remarkable artwork up close. Check out past submissions in the galleries. Sample our sessions by searching #GNSIconf on Twitter and Facebook or viewing several plenary talks on the GNSI YouTube channel.